The Swiss School of Archaeology in Greece has updated its corporate identity. The former logo with an octopus, reproducing a tetradrachm of Eretria, has been streamlined and the website redesigned. It is now available in 4 languages at a new domain name esag.swiss. A Facebook page presents the latest news at facebook.com/esag.swiss. This development aims to improve the visibility of the School in digital media. The School’s annual conference was held in collaboration with the Swiss Embassy in the premises of the National Hellenic Research Foundation on March 8, 2018. The meeting was entirely devoted to the discovery of the Artemision of Amarynthos. 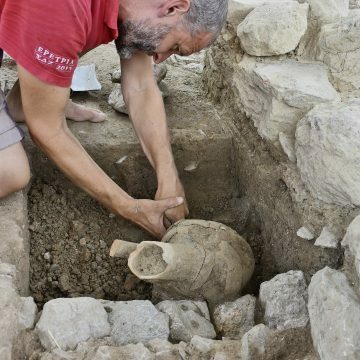 Karl Reber and Tobias Krapf presented the excavations in the sanctuary of Artemis Amarysia to a large audience, while Denis Knoepfler talked about the history of this important place of worship based on epigraphic and historical evidence. Two cycles of lectures on the Artemision were held on May 30 at the Hardt Foundation in Vandœuvres (Switzerland) and on June 1 at the Académie des Inscriptions et Belles-Lettres in Paris (France), in the presence of the Secretary General of the Greek Ministry of Culture, Maria Andreadaki-Vlazaki. The Swiss National Science Foundation (SNSF) competition for scientific images rewarded Guy Ackermann and Rocco Tettamanti for their photograph capturing the moment of discovery of the hand of a monumental marble statue during the 2017 excavations of the Gymnasium in Eretria. The awards ceremony was held on May 9, 2018 in Bienne. 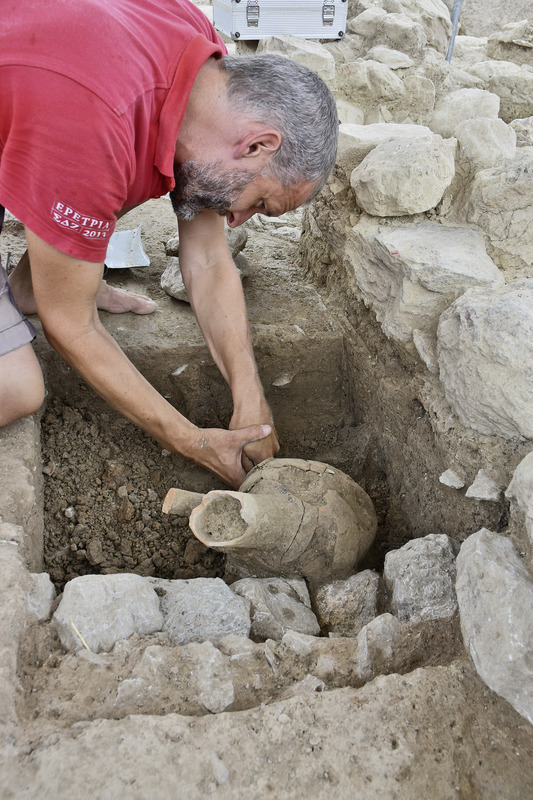 The excavation season at Amarynthos took place from June 25 to August 3. Thanks to exceptional financial support from the Federal Department of Economic Affairs, Education and Research, several plots contiguous to the site were purchased, allowing the excavations to be extended to the west. A number of buildings were discovered, in particular large foundations which could belong to an altar, as well as offerings confirming the identification of the Artemision, such as a bronze quiver from a statuette of Artemis. 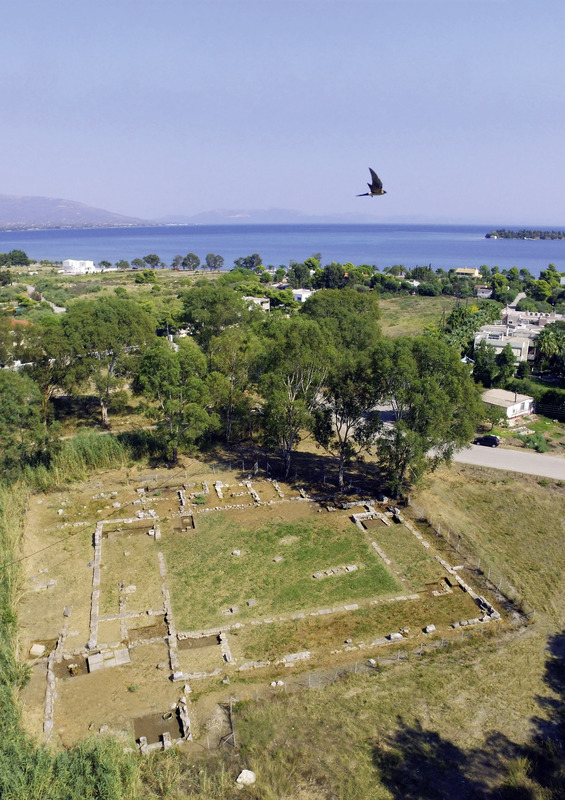 Fieldwork was also conducted in the southern palaestra of Eretria from August 20 to September 14. The main objective was to clarify the plan and phases of the building. Several votive deposits (pyrai) were discovered. 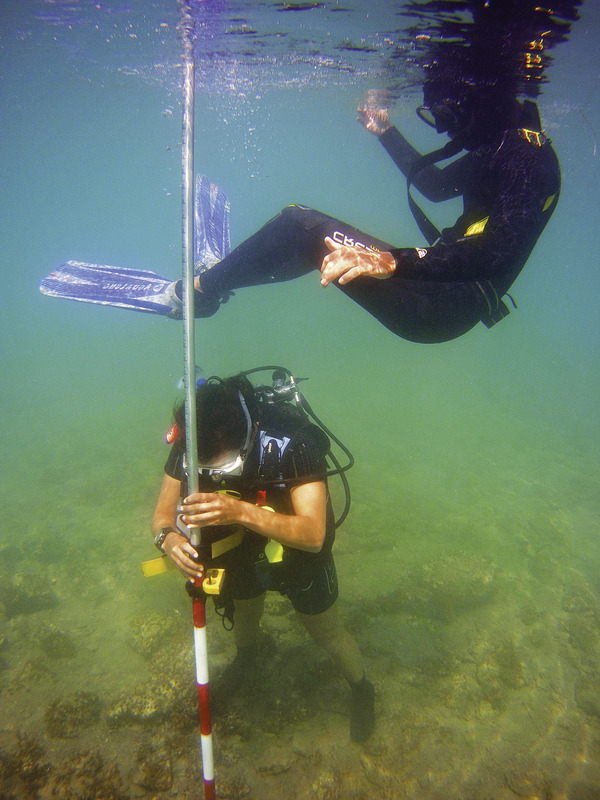 The underwater explorations in the Bay of Kiladha (Peloponnese) continued successfully. 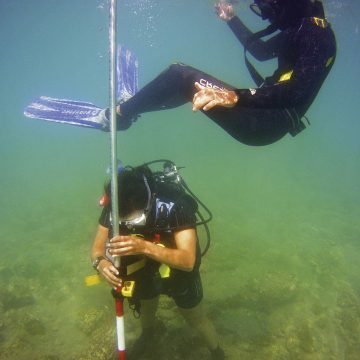 This project is directed by Aggeliki Simosi (former Director of the Ephorate of Underwater Antiquities) and Julien Beck (University of Geneva), in collaboration with Despina Koutsoumba (Ephorate of Underwater Antiquities). 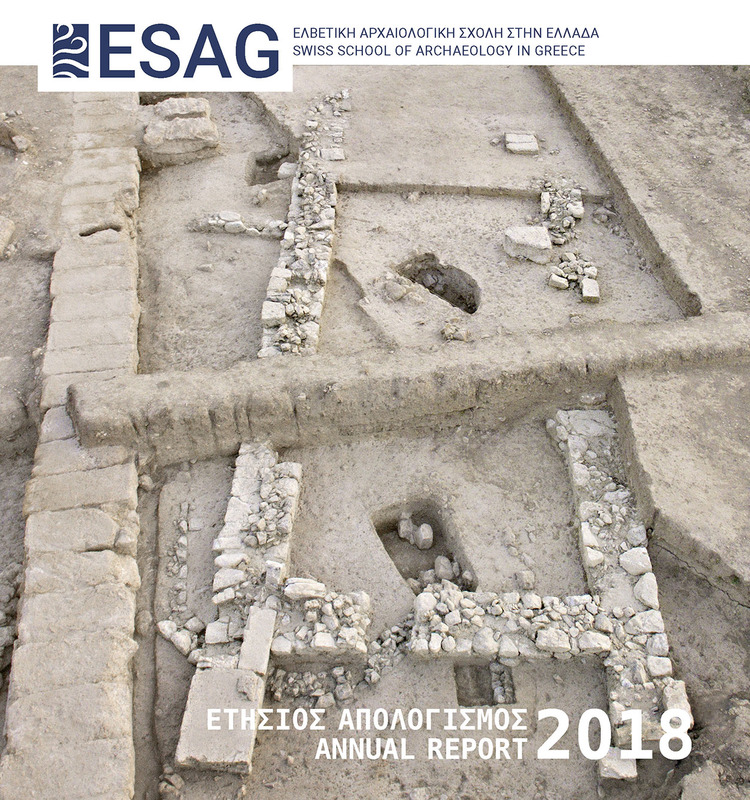 The Swiss School of Archaeology in Greece expresses its sincere gratitude to the Greek archaeological authorities for granting the indispensable authorizations and for perpetuating a productive and friendly collaboration over the years. 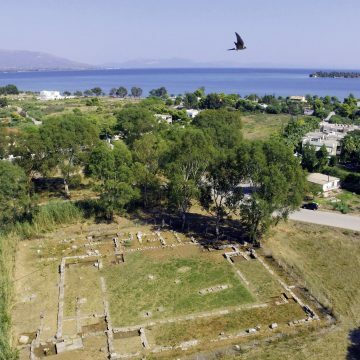 Its appreciation goes first and foremost to Angeliki Simosi, Director of the Ephorate of Antiquities of Euboea, and to Kostas Boukaras, the archaeologist responsible for the sites of Eretria and Amarynthos. The School is also very grateful to the Ministry of Culture and Sports and in particular the Department of Foreign Schools for granting excavation permits, to Paraskevi Kalamara, Director of the Ephorate of Underwater Antiquities, as well as to Amalia Karapaschalidou, who shares the responsibility for the project at Amarynthos. The School’s activities in Eretria and Amarynthos are carried out in close cooperation with the local authorities. The constant and invaluable support of the municipality of Eretria and its Mayor, Amphitriti Alimbate, the local associations of Amarynthos, as well as the whole staff of the Eretria Museum, especially Sophia Katsali, archaeologist, and Stavroula Parissi, head custodian, is gratefully acknowledged. The former Swiss Ambassador in Greece, Hans-Rudolf Hodel, and his successor, Olaf Kjelsen, as well as the Greek Ambassador in Switzerland, Hara Skolarikou, followed the School’s activities with interest in 2018. Finally, the Swiss School of Archaeology in Greece extends its warmest thanks to the active members of its Board of Trustees and Advisory Council. The ongoing projects would not have been possible without the financial support of generous sponsors and institutions. It gives the Swiss School great pleasure to express its gratitude to the Swiss National Science Foundation (SNSF), to the Federal Department of Economic Affairs, Education and Research, the State Secretariat for Education, Research and Innovation (SERI), the University of Lausanne and the other Swiss universities, the Sandoz Family Foundation, the Stavros Niarchos Foundation, the Isaac Bernheim-Dreyfus Foundation, the Théodore Lagonico Foundation, the Afenduli Foundation as well as to numerous private donors for their generous support.